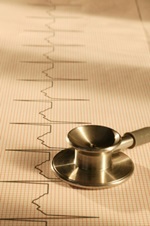 Home » Heart Health » Can This Small Change Help Your Heart? Having a happy disposition is good for more than just your mental health. A recent study published in the American Heart Association’s journal Circulation: Cardiovascular Qualities and Outcomes revealed that heart disease patients who had a positive attitude were more likely to exercise and live longer than patients who had a negative attitude. The researchers used a questionnaire to assess the mood of over 600 patients suffering from heart disease in a hospital in Denmark over the course of five years after their diagnosis. The study found that patients who had a positive attitude and exercised were 42% less likely to die than those who did not. The death rate amongst the patients who had a positive attitude was less than 10%. The patients who had a positive attitude and exercised regularly were far less likely to make a return trip to the hospital as well. On the other hand, 16.5% of the patients who held a negative attitude passed away over the course of the study. It would appear that exercise is the factor that determined the death rates amongst the patients in the study. It was found the death rates amongst the patients who were happy and those who were sad were not that different. However, these numbers were not made available. Approximately 600,000 people die of heart disease in America every year—that’s one in four people. It is estimated that 80 million people in the U.S. have a form of heart disease. While this study didn’t find that a positive attitude was beneficial in lowering the risk of death for heart disease patients, it is definitely beneficial for a number of health conditions. According to a study from the Harvard School of Public Health, having a positive attitude can prevent heart attacks, strokes, and other cardiovascular-related events. A review of over 200 studies in two major scientific databases found that subjects who held a positive, upbeat attitude were far less likely to suffer from cardiovascular disease. Being positive also has benefits when cold and flu season rolls around. It’s been found that holding a positive attitude boosts your immune system. While being diagnosed with heart disease may be life altering, it doesn’t have to be life ending. Remember to stay positive and get plenty of exercise, within your limits of course. Look into joining a gym and hiring a personal trainer who will be able to recommend an exercise routine that’s best suited to you. “Heart disease patients with positive attitudes likely to exercise, live longer,” ScienceDaily, September 10, 2013;http://www.sciencedaily.com/releases/2013/09/130910165432.htm?utm_source=feedburner&utm_medium=email&utm_campaign=Feed%3A+sciencedaily%2Ftop_news%2Ftop_health+%28ScienceDaily%3A+Top+News+–+Top+Health%29, last accessed September 18, 2013. “Positive Attitude Boosts Exercise, Longevity Among Hear Disease Patients Study Suggests,” The Huffington Post web site, September 11, 2013;http://www.huffingtonpost.com/2013/09/11/positive-attitude-exercise-longevity-heart-disease_n_3894583.html#slide=2422743, last accessed September 18, 2013. Pappas, S., “Optimism Boosts Immune System,” LiveScience web site, March 25, 2010;http://www.livescience.com/8158-optimism-boosts-immune-system.html, last accessed September 18, 2013. “Positive Feelings May Protect Cardiovascular Health,” Harvard School of Public Health, April 17, 2012;http://www.hsph.harvard.edu/news/press-releases/positive-emotions-cardiovascular-health, last accessed September 18, 2013. “Heart Disease Facts”, The Centers for Disease Control and Prevention web site;http://www.cdc.gov/heartdisease/facts.htm, last accessed September 18, 2013.